Is there a Crossrail effect in Abbey Wood? When delays to the Elizabeth Line were announced last week, a bit of an issue kicked off. 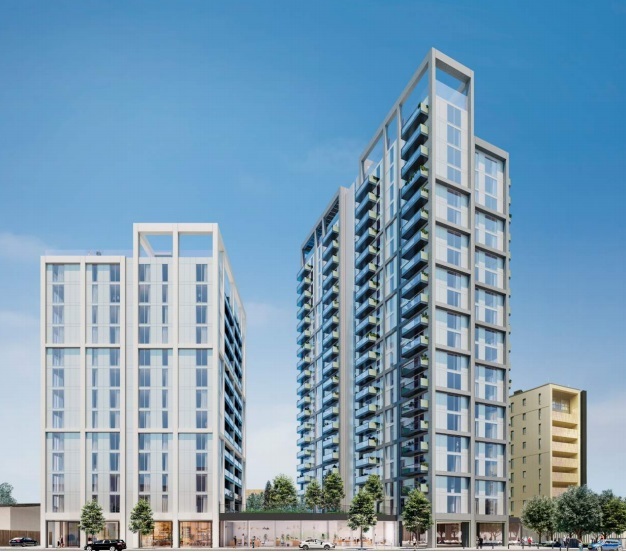 Greenwich Council’s leader stated “Abbey Wood and Woolwich have already started seeing the benefit of the ‘Crossrail effect’, with new hundreds of homes being built and businesses opening” which caused some Abbey Wood residents to claim otherwise. 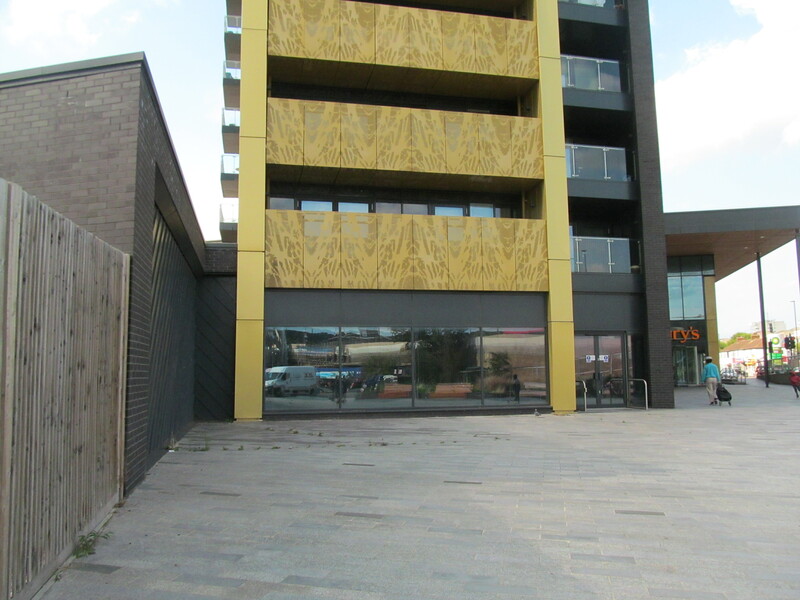 In Woolwich, many changes are obvious. Abbey Wood? Less so away from the station. Some local people claimed there wasn’t much of a “Crossrail effect” in the wider area. It was stated that the town had seen barely any more changes than most similar London towns. No big changes were underway – not anymore than would be expected anyway for a town of its size. No huge Crossrail dividend was visible. So I headed to a town I know well to see the latest. Firstly, housing. Very little has actually begun. A tower was approved last year yet shows no sign of commencing. I recall the developers stating approval was needed to make a quick start. The only large development in Abbey Wood to any great degree is a Sainsbury’s and small number of homes at Cross Quarter which opened over three years ago. Is that anymore development than your average Zone 4 town? Even Phase 2 of Cross Quarter hasn’t begun, which included hundreds of homes to the north. Cross Quarter still has vacant units three years on. 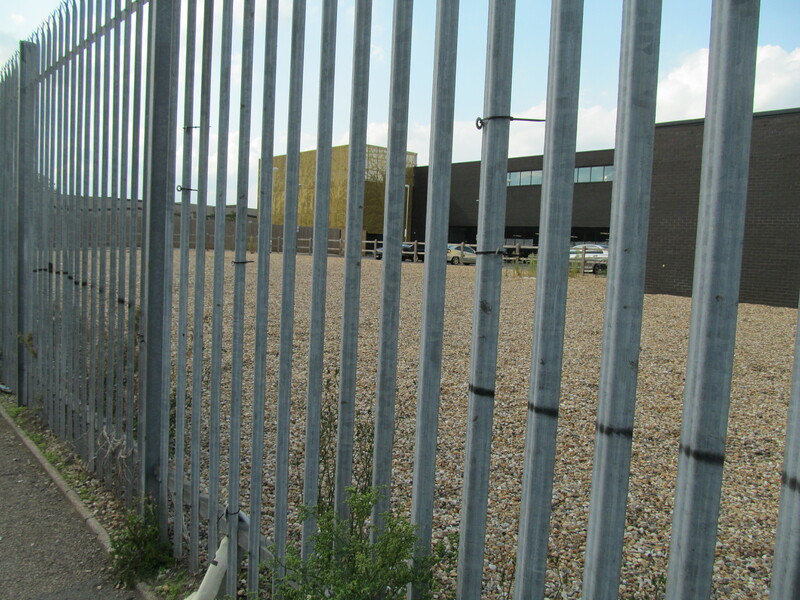 This unit below was supposed to be a library – £75,000 was given from developers to Greenwich Council for fit out. Wisely Greenwich eventually opted to renovate the existing library instead, as this site is too close to another planned library by Peabody, yet prevaricating has meant an empty unit to this day. If anything, Abbey Wood is seeing well-known businesses leaving. The co-op recently vacated a site on Eynsham Drive at a run-down shopping parade that could badly do with investment. The co-op was on the 3000-home Abbey Wood estate, sometimes called the Eynsham Estate. Home to at least 10,000 people. It’s extremely tired in places and has seen no substantial investment in decades. Locals may have expected Crossrail to help. New shops and homes will bring new money to council coffers which could then see millions spent on the estate. Many authorities would do exactly that. Share the incoming wealth. No luck here though. As is normal, Greenwich are choosing not to spend incoming funds on the estate to any great degree. Plenty for their job scheme though little for local parks or the estate. And so decline, if anything, goes on and businesses like the co-op have left. Away from the estate, and some housing is noticeably in worse condition since my last visit, including this block directly next to the station. This is one improvement that can be attributed to Crossrail, though it straddles both Abbey Wood and Thamesmead. However, for some reason the site looked completely dead. Not just quiet but an almost complete absence of machinery let alone staff. Even if Crossrail had launched on time, this would almost certainly not be ready. Bexley is Bonkers covered recently how dates had slipped from Autumn 2018 to spring/summer 2019. 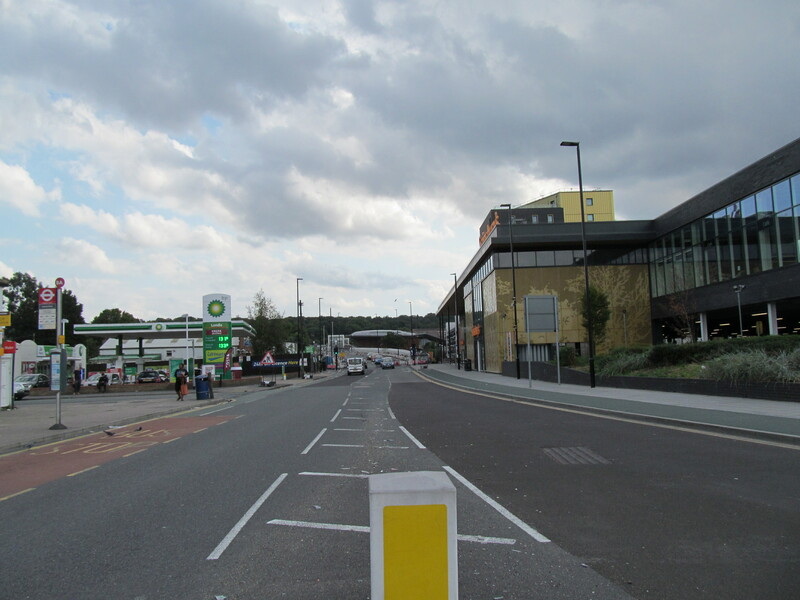 The borough boundary runs right down the centre of this road, with Bexley taking the lead on this project funded by the GLA and Crossrail. 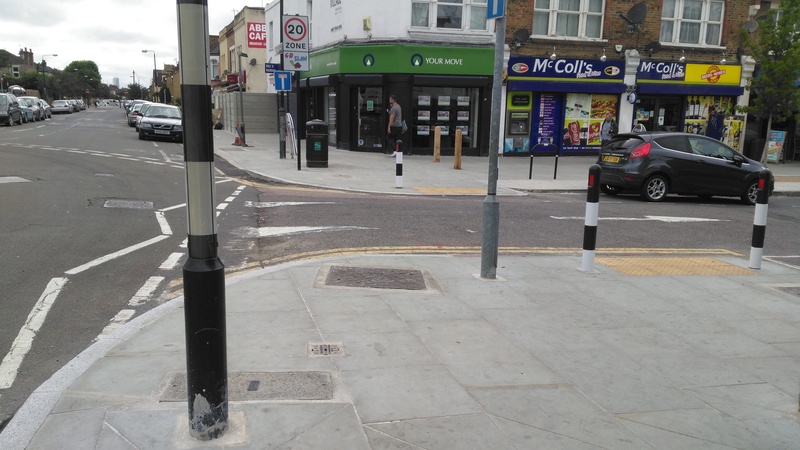 Another improvement which straddles the borough boundary. It’s a nice upgrade though with some basic design flaws. Materials used are high maintenance. One part of the paving upgrade on phase 1 has still not been complete. Another section outside the Abbey Arms pub on phase 2 hasn’t even begun and would not make the original December deadline. There’s little sign of any new business opening on the road. No spark to be seen. No variety of restaurants, places to meet friends and rela or decent shops such as butchers and greengrocers (which existed until the ’90s) absent. 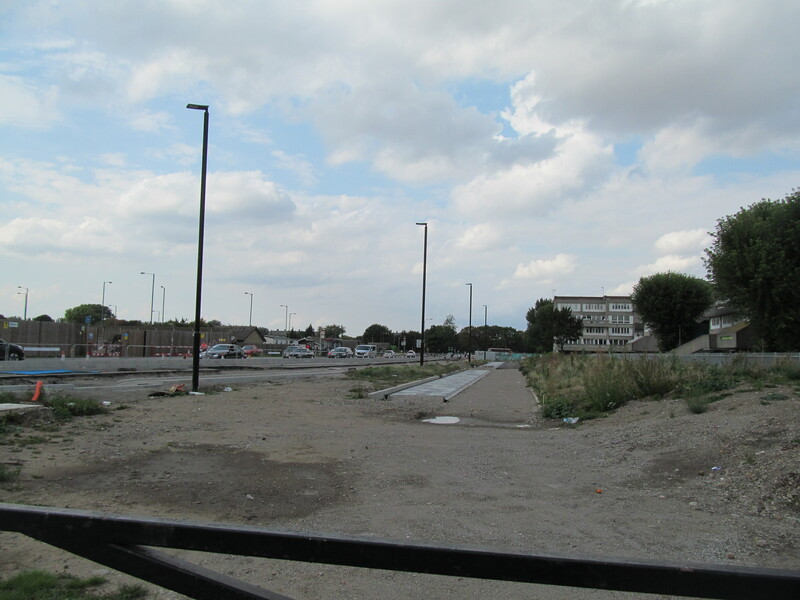 The main shopping parade for the co-op estate is similar to Eynsham Drive in terms of minimal investment for decades. And again, no real change here in the offering. One of the most substantial changes is at Lesnes Abbey grounds which saw millions invested to renovate and build a new visitors centre. It is fantastic. Again though, not in Greenwich borough. So after a good walk all over, catching up on places I knew well over many years it’s pretty fair to say no huge change for the vast majority of the town – certainly on the Greenwich borough side which was the motivation for this visit. Most changes either straddle the boundary with Bexley or are solely within it. And what has changed in the past five years is of no bigger magnitude than the vast majority of similar towns without a once in a lifetime infrastructure change on their doorstep. What is normally said when a lack of any great “Crossrail effect” is raised, and we heard it last week, was a mention of all the millions to be spent in Thamesmead in Bexley borough. Yet Thamesmead is a fair old walk from most in Abbey Wood, and in my experience most residents would rarely go there. 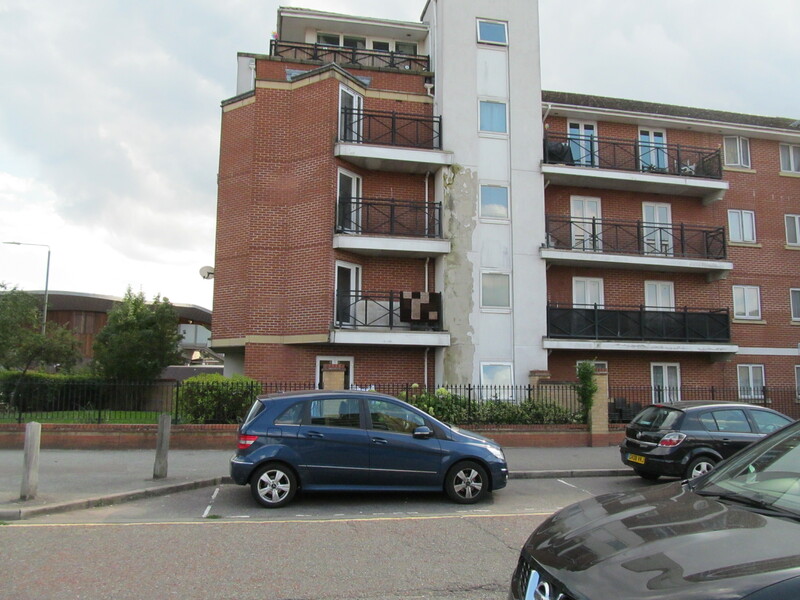 On their street, in their estate, on their shopping parade and on their walk to the station most Abbey Wood residents have seen minimal to no change in terms of the physical environment or what is on offer. That’s pretty poor, but what’s more disheartening is that in five years there’s little evidence that will change within Abbey Wood, and particularly in its most deprived parts. Pockets of wealth surrounded by deprivation. Some changes in places will occur of course, the tower will eventually get going, but unless that is then translated into improving the rest of the town a “Crossrail effect” will be noticeable by its absence. I totally agree with this article. I live 10 min walk from the station. 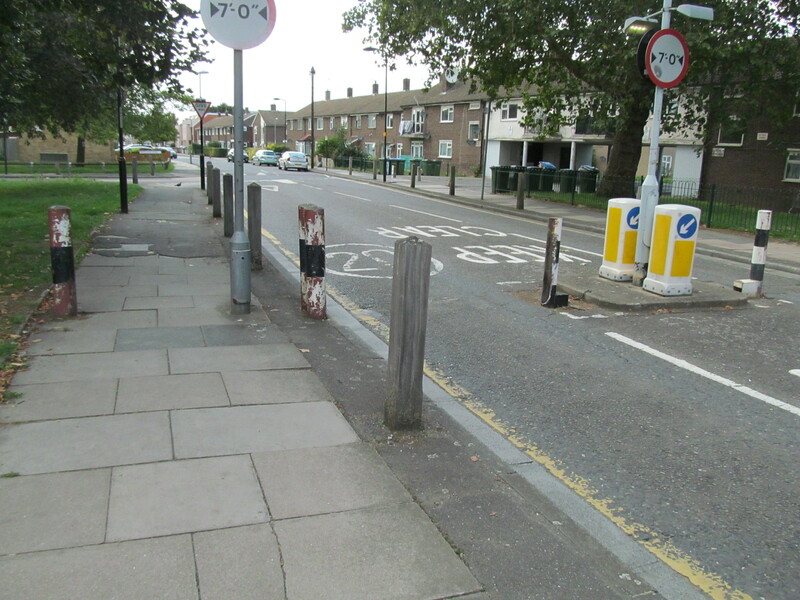 Wilton Road is badly in need of investment (do we really need TWO massive bookies on the same small road?) and they’re closing down the Post Office on Abbey Road in November. The only relatively recent positive change is the Abbey Lesnes Park and woods which, as you point out, is Bexley council’s doing. I was actually in favour of the original plan with crossrail not stopping in Woolwich. As soon as they succeeded in getting it to stop in Woolwich I knew that Abbey Wood would see no change and I was right. Woolwich is already served by the DLR and mainline station. There’s no need for crossrail. Abbey Wood has nothing. Abbey Wood actually needed crossrail. All the development will happen in the bigger better conected Woolwich now. House price rises aren’t desirable as more than high enough. What would be good is public investment from Greenwich Council themselves (the funds from them vastly outweighed by others who are only spending around the station), in places away from said station, that improves quality of life for residents. That could act as an incentive for business to open by improving the shopping parades, making them more attractive so business moves in and doesn’t leave. The town still needs a bunch of help. I didn’t expect much to have happened by now, but still more than has. I think the sum total investment in the town over the past 5 years would top out at £200,000 MAXIMUM when considering funding directly from Greenwich Council. 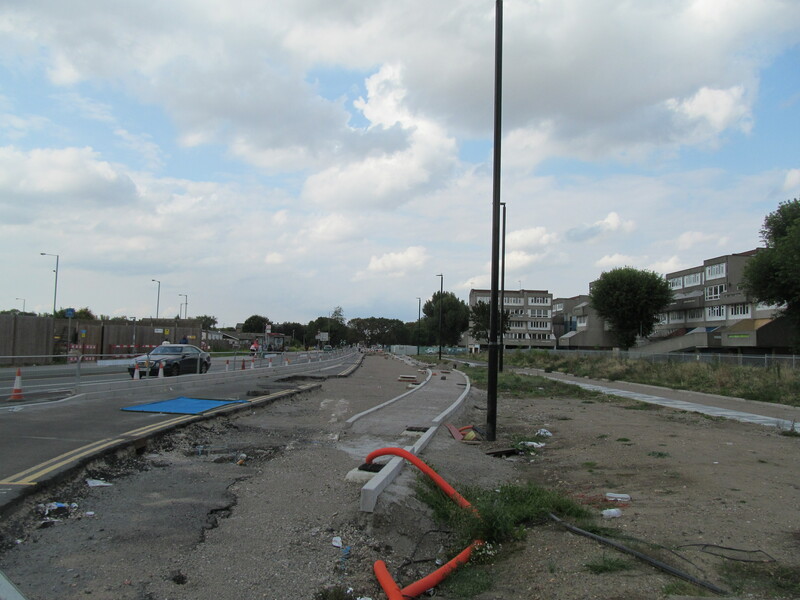 Wilton Road got £75k from Greenwich Council, £75k from Bexley and £150k from the Mayor. Apart from that, some fence replacement (as the older fences were in terrible state and should have been replaced 10 years ago) is the sum total I can think of. And, errr, that’s about it from Greenwich themselves. Everything else is Crossrail, GLA, Mayor or others. The great shame is its got a heap of potential. Just needs funds, and Crossrail related developments could provide it, yet Greenwich Council swipe it all away to other areas. It’s telling they can’t tell the difference between Thamesmead and Abbey Wood is many press releases, statements and communications. I don’t think you’ll see the improvements/house price rises until after a good six months after crossrail comes in as most people need to see it in place and feel uncomfortable speculating, even if that speculation is on a dead cert that a major transport link is coming in. I see where you are coming from, but that isn’t usually the case. Many speculators/investors get in early and benefit most in the rise of house prices. If house prices haven’t risen noticably on the crossrail link, then I would bet we are reaching the top end of the housing bubble – and about time I say! It is worth noting that the work at Lesnes Abbey wasn’t without its problems either, and essentially wouldn’t have happened without significant Lottery funding. Neither Bexley nor Greenwich councils have covered themselves in glory when it comes to Abbey Wood.